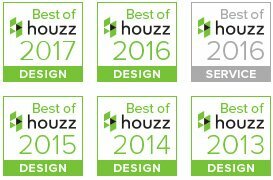 Since 1992, Cross River Design has been a top-rated landscape design and landscape architecture firm in the ever-growing New Jersey residential and commercial market. Over the past 25 years, Cross River Design’s team has won over a multitude of clients by creating uniquely stunning, one of a kind landscapes. Whether it’s a quiet afternoon in a lush garden, or entertaining family and friends on an elegant bluestone patio beside a custom pool, Cross River Design creates unique outdoor environments that engage the senses and rejuvenate the soul. Cross River Design’s reputation for going beyond the client’s expectations has secured its place as a trusted landscape design and architecture firm with the highest professional standards. The team’s ability to bring each client’s outdoor dreams to life are a direct result of their passion for the art of building, and their ability to draw out the specific desires of every client. With over 25 years of experience in the design and construction of swimming pools and spas, Cross River Design has the expertise needed to bring each client’s pool visions to life. Cross River Design’s dedicated team of in-house designers and craftsmen bring beauty and function together to create an outdoor environment tailored to each individual client. Cross River Design’s award-winning experts can design and install tasteful lighting arrangements that will highlight the architecture and fine details of a home and the surrounding landscape. From elegant walkways to breathtaking waterfalls, Cross River Design offers expert design and installation knowledge in all phases of masonry and fine stonework. Cross River Design specializes in delivering high quality and innovative landscape construction from concept to completion. Clients can protect their landscape investment with an expert level of care that’s customized to fit the specific needs and budget constraints of each project. Cross River Design’s expert designers will make every customer’s outdoor area an inviting and comfortable living space. Whether it’s revamping a small section of a rear yard or constructing an extensive outdoor garden, Cross River Design can help clients choose the perfect path to enhance their overall landscape.